Although summer will soon be gone, construction projects will continue through the fall and into winter and well into the spring this coming year. Depending on your location, these months have the potential to see inclement weather including hurricanes, snow, rain and high winds. While many things can alter a construction project, inclement weather is something that can have the biggest impact on whether a project is finished on time or if it will need an extended deadline to wrap up. Whether you are a homeowner who is working with a general contractor to have a new shed built for your tools or you’re a construction manager who needs to plan a new build at a job site, here are a few tips to keep work flowing even when bad weather starts poking its head around the corner. Before beginning any project, especially one that is outdoors, carefully research local weather patterns and check the extended forecast to see if you may experience delays with the work at hand. If you work in an area known for rain, plan for delays or be sure to grab plenty of rain gear ahead of time to cover the area and continue working as planned. Having plastic or storm drainage on site already will be a benefit to the worksite and will allow work to continue as normal even when the rain hits. Plan for flooding if you’re project is in an area prone to flooding. While some projects will inevitably have to be placed on hold if flooding occurs, others can continue if waters have not risen significantly. 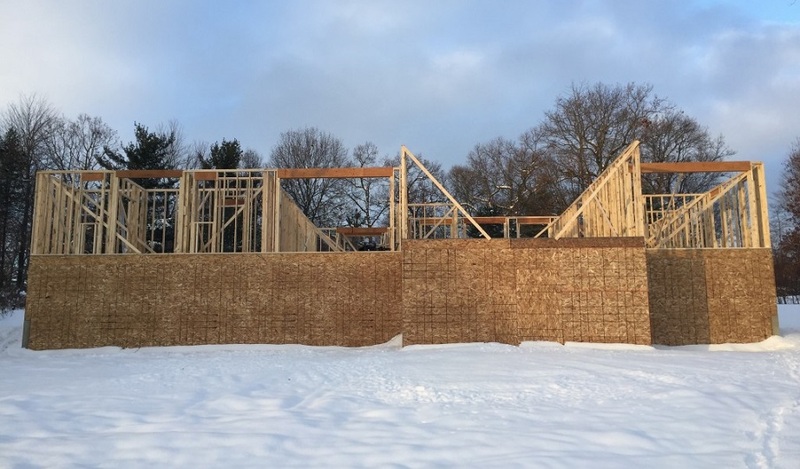 If you know the area has some rough weather patterns and you expect to see large amounts of rain or snow, plan accordingly and set a realistic time frame for completion as well as cost for the project. No one can control the weather, and unfortunately it often holds disastrous surprises when we least expect. Planning Home Improvement Tips, Ideas and Projects ahead by keeping an eye on weather trends and checking to see if inclement weather is on the horizon is a good step to take when you are planning to have work done at your home or when you are a contractor who will be starting a new building project soon. If you need to hire a general contractor and want someone who can be relied on to plan the project around the weather in your area, be sure to speak to Contractors Today to be put in touch with the best general contractors in your local area today.